Lucille is using Smore newsletters to spread the word online. Tuesday - we may have to move the goal team meeting, will send an email on Monday. A worried mother does better research then the FBI. Sometimes I open my mouth and my Mother comes out. No matter what your age, you always need your Mom. If you decided to opt out of the EP process for 2015/2016 as outlined by Dr. Pfeiffer, you received an email from me Sunday evening. If not, please let me know ASAP. 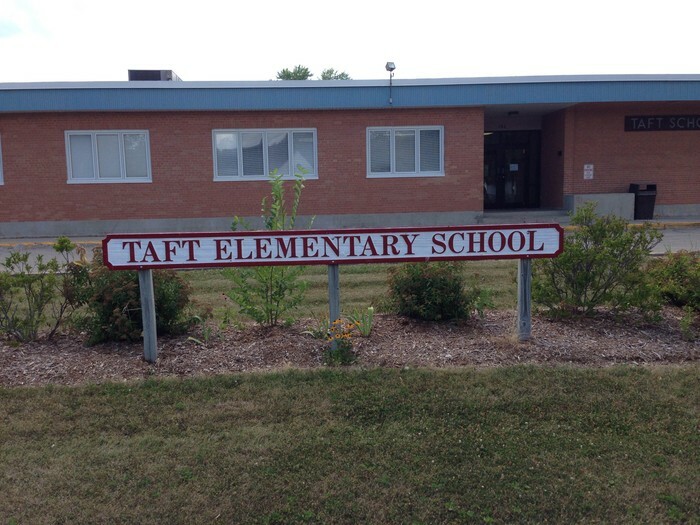 Tuesday the 3rd a team of Taft Staff presented to the School Board. Our focus was showcasing the collaborative culture we have in Timberwolf Territory. Michelle Perry told of the history and our quality staff with a shared vision. Michelle Robb discussed our celebrations in PBIS and our dedication to our students through our summer book study, The Leader in Me and next steps for 2016/2017. Cary Bonikowske shared our use of PLCs and acknowledged our volunteer base. Highlighting our students/ parents after school involvement was Courtney Wagner. Explaining the plan and vision for brining collaboration to the student level through the Wolfpack Idea was Justin Schultz. Taft was honored to come in 3rd place in the City Spelling Bee. Mandy M. came behind two private schools, if the Bee was NJSD students she would have had 1st place. We are so proud of Mandy and her accomplishment. Friday, May 20th from 3:45-4:45 will be the Summer Academy training date for current NJSD teachers. Central Office Building in the auditorium. Saturday, May 21st from 8:00-12:00 will be for everyone else. Same location. Library Media Specialists will have a separate meeting, and Jen McMahon has already contacted this individual. Staff needs to provide a 10 day notice (unless there is an emergency) when requesting personal leave. Next year we will be using Google Text. Please familiarize yourself with it now by texting others in the building. It is a great way to communicate quickly. Very similar to texting on your phone only easier.....because you can actually see the letters without readers. Our mission is to support Taft families in their journey toward academic, social, and emotional success within a safe environment. As a team, we will guide, support, and provide direction to empower one another to become lifelong learners and respectful members of a community.